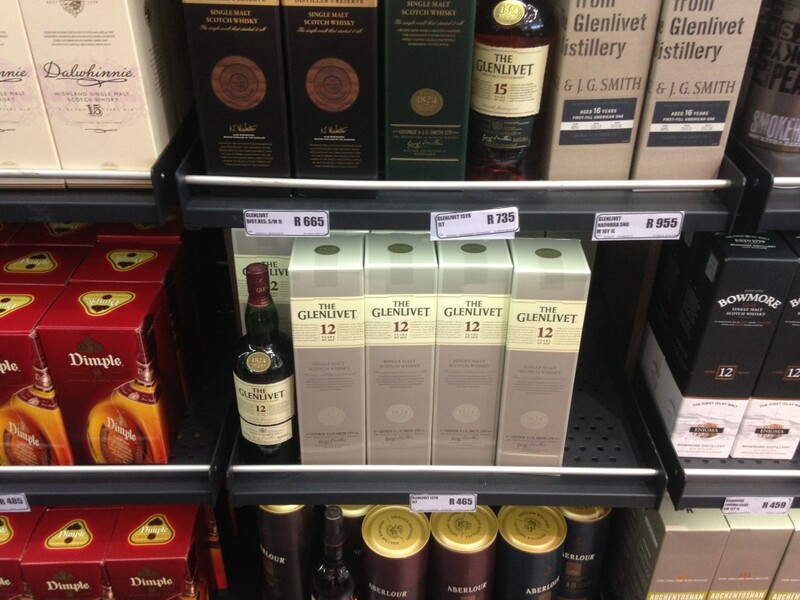 What’s in OR Tambo International Airport (South Africa) Duty Free? OR Tambo International Airport is also known as the Johannesburg Airport and is the site of today’s guide to duty free shops. Our friend Brendan K. sends us these fine photos while on his way to Krabi/Koh Samui, Thailand. The store itself is called Big 5 Duty Free and it’s the only operator of duty free stores in OR Tambo, though there are several stores throughout the airport. The photos Brendan sent our way were from the large one right after passport control. Brendan sent a LOT of photos, you can download the whole lot here and flip through it, but basically anything and everything you could think of is available here. You can see shots of some familiar faces, including a recently popular bottle (at least to me), The Balvenie Triple Cask 16 – a retail exclusive. The little brother, 12yo Triple Cask, is seen right below it. 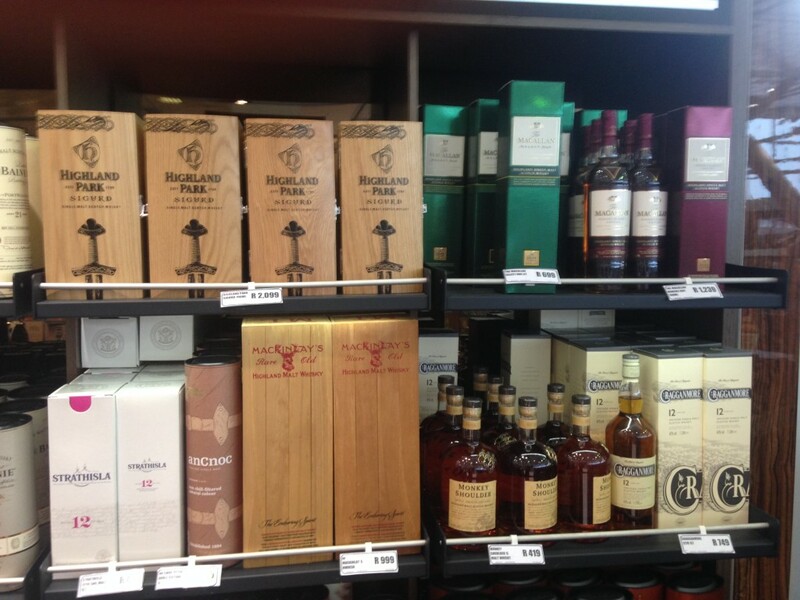 Here is a shot of a HP Sigurd, some of Macallan’s retail exclusives (they don’t sell standard expressions in duty free), as well as everyone’s favorite Monkey Shoulder. 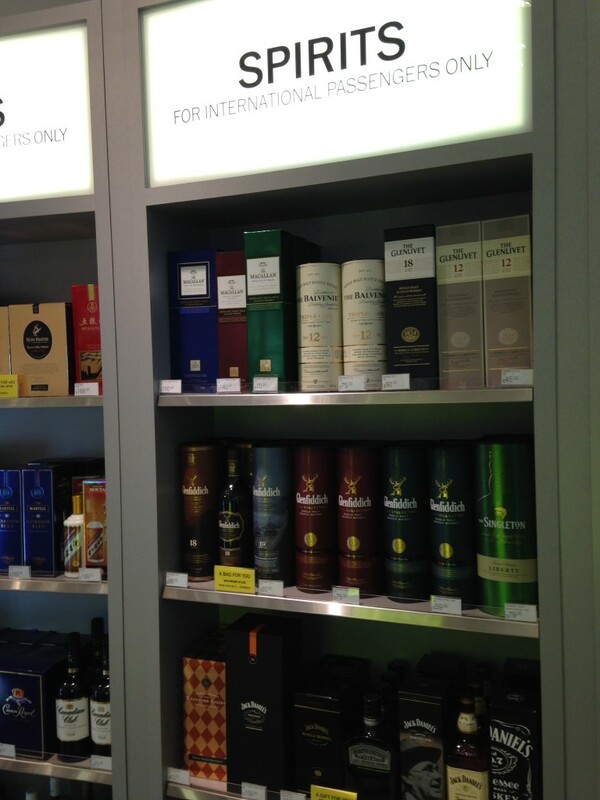 What’s in Munich Airport Duty Free? 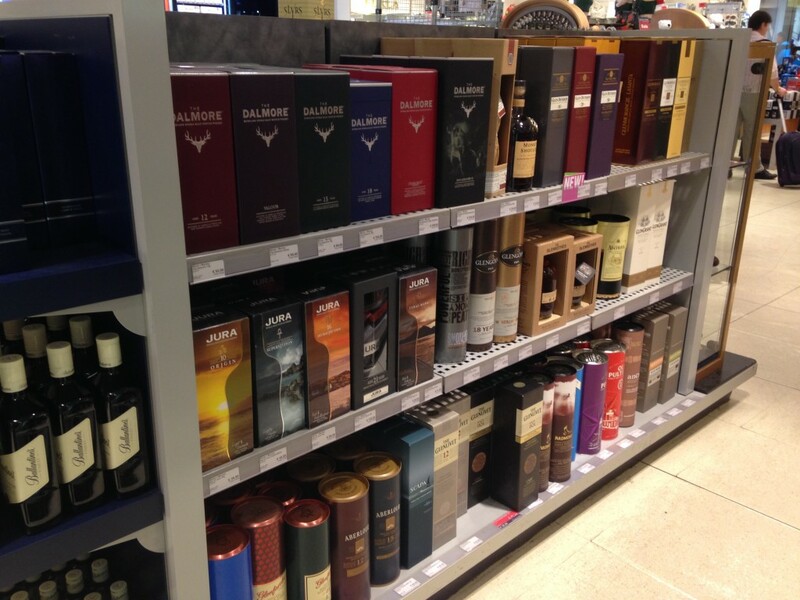 My good friend and yours, Gary, has come through again with another wonderful set of photos from yet another duty free store – this time it’s the Munich Airport located to the north east of Munich, Germany. This is the second busiest airport in Germany behind Frankfurt Airport and handled nearly forty million passengers in 2013, according to Wikipedia. 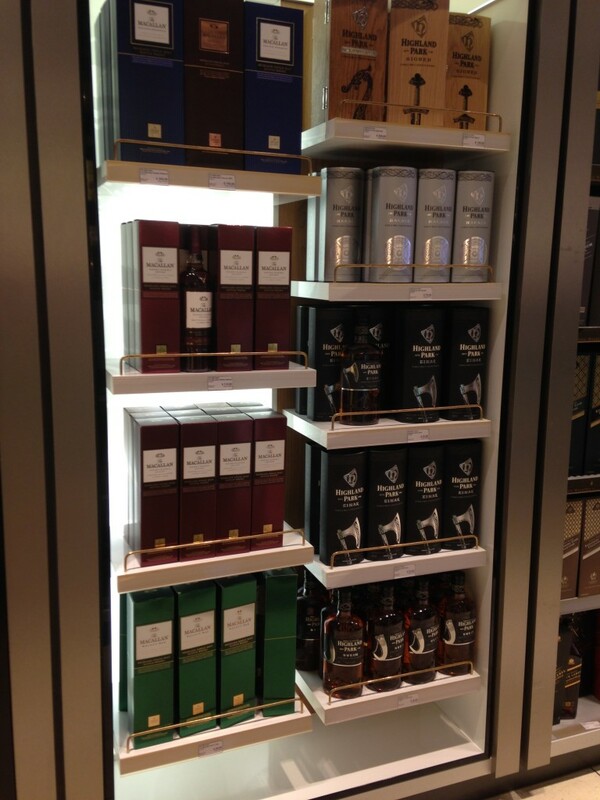 It’s the duty free store in Terminal 2 by H gates 19-28 and it is HUGE with a very extensive selection of Scotch, as you’ll see in a moment.. 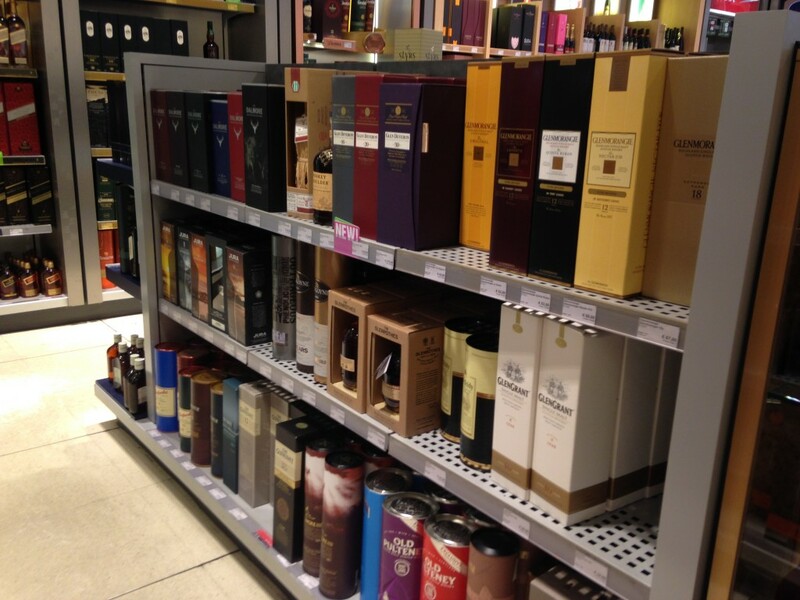 Pretty much anything you could want, you can find in the Munich Duty Free! 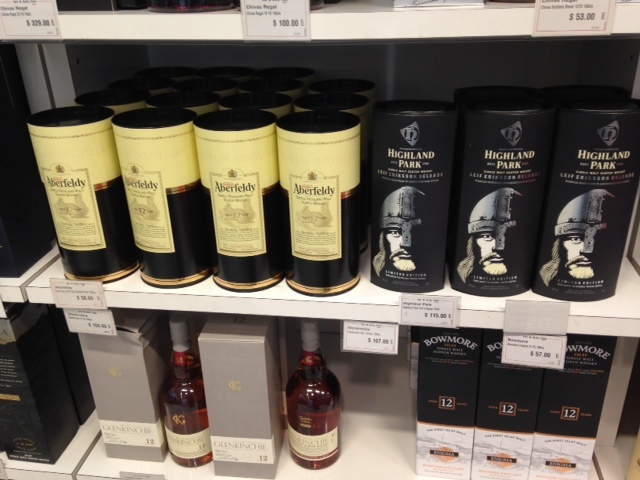 Grouse, Blends & Islays, Oh My! Right side:HP Svein, Einar, harald, sigurd, dragon? What’s in Nuremberg Airport Duty Free? 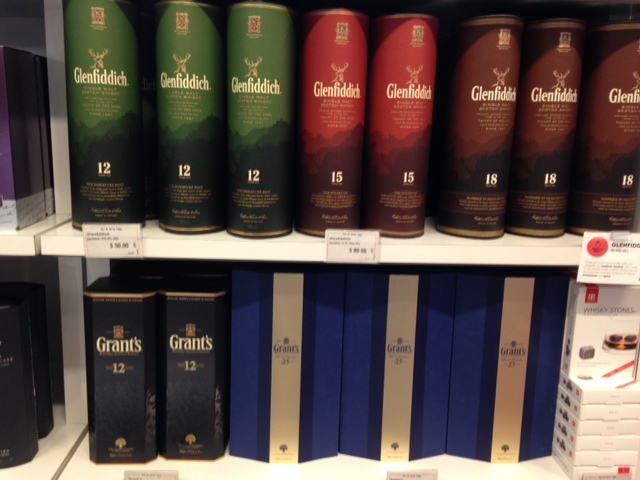 This week’s report from the Nuremberg Airport (Nürnberg) duty free store comes from none other than Gary, who has sent in the most duty free reports of any reader (thank you Gary!). 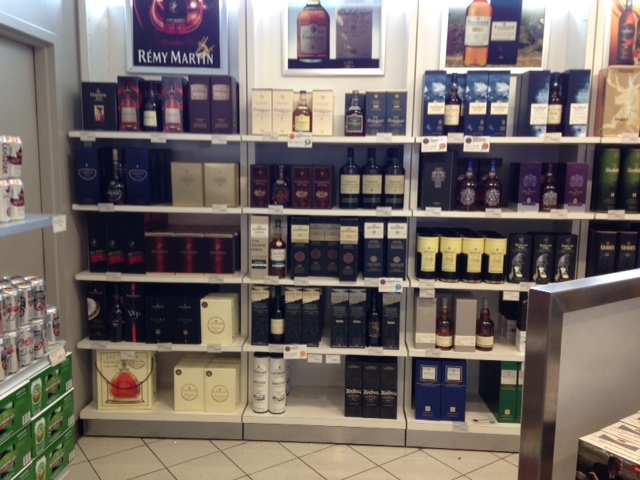 This report and photos come from the duty free shop by Gate A16. Nuremberg is an international airport (obviously, since it has duty free) but it served only about 3.3 million passengers in 2013 and is the 10th largest airport in Germany. By comparison, the world’s busiest airport, Hartsfield-Jackson Atlanta International Airport, saw 94.4 million passengers in 2013. Germany’s most popular, Frankfurt Airport, saw 58 million passengers in 2013. That said, still a decent selection at the store outside Gate A16. 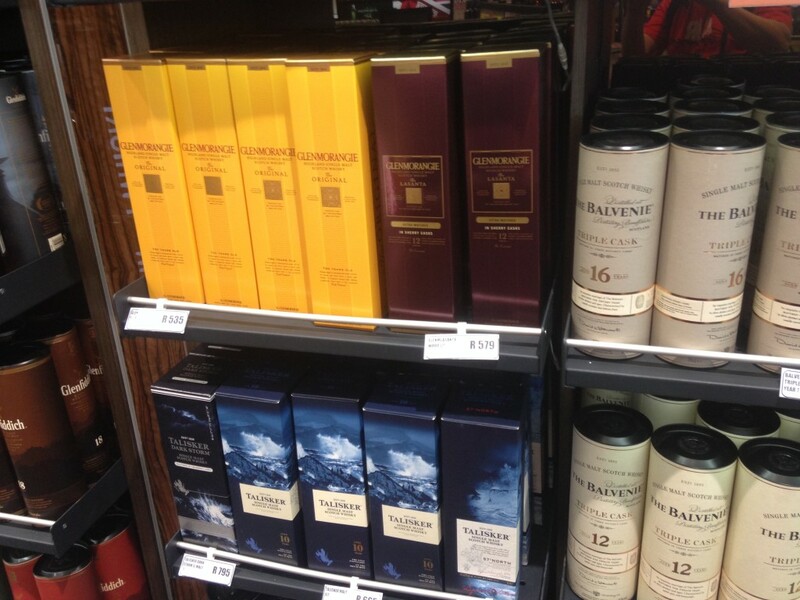 3rd Row: Glenlivet 18, Glen Garioch Founders Reserve + 12, Bowmore Black Rock and Gold Reef. 5th Row: Dalmore 12 15 and 18, Smoke Head extra rare, Highland park Vin2001 and Einar. 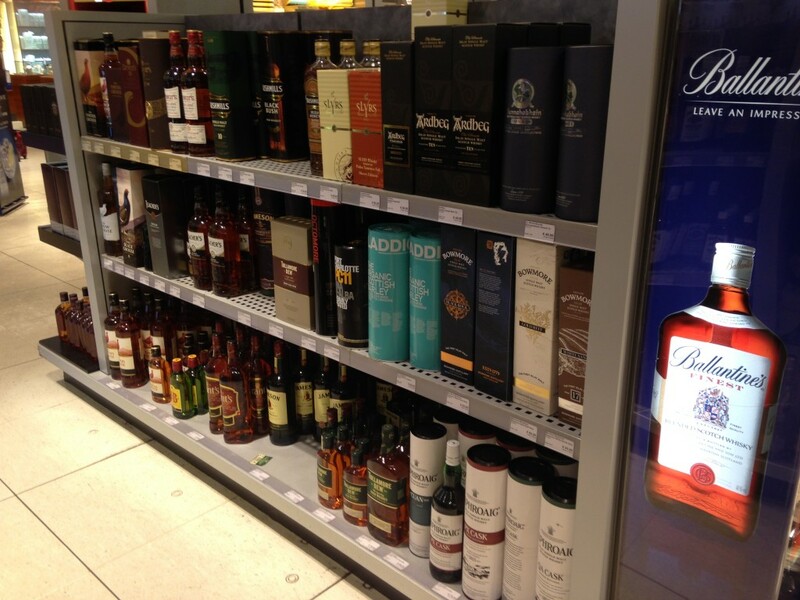 Their duty free has a list of spirits promotions its running too if you are planning a trip through there. 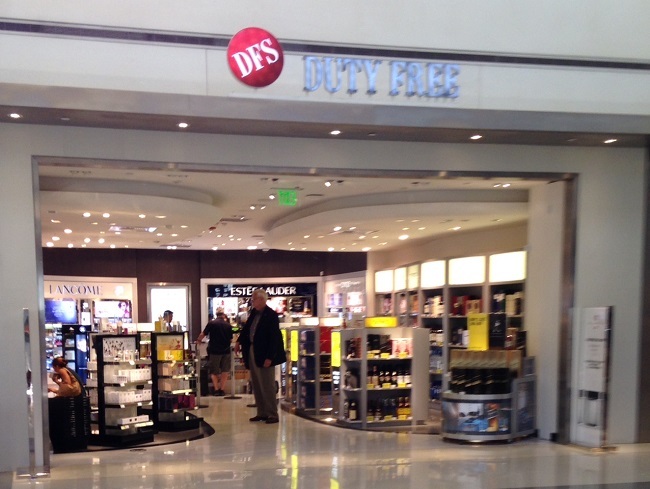 What’s in the Los Angeles International Airport Terminal 7 Duty Free? Los Angeles International Airport is an enormous airport and it has seven duty free stores (ten if you count brand specific stores like Burberry, Gucci, and Hermes). There are a staggering nine terminals and today’s report is just of the DFS Duty Free shop located in Terminal 7, which (my guess) serves flights for United Airlines. 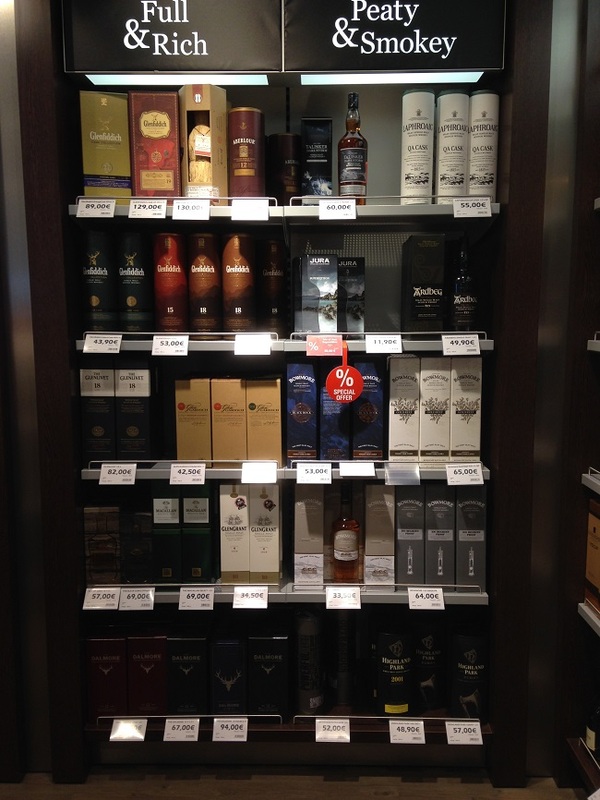 While Gary says he’s not much of a writer but so far he’s sent me two sets of photos from duty free shops, this one and Toronto Pearson Airport – Thanks Gary! Just took a couple pictures of the duty free at LAX. This store is by gate 70A. Rather small selection of liquor. 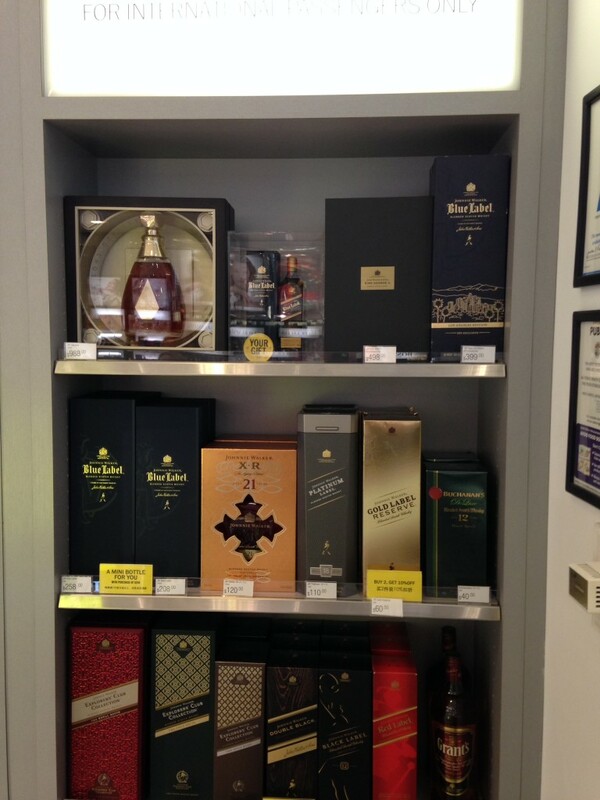 Johnnie Walker dominated the shelves, Glenfiddich a decent second place. So on top you have the Macallan 1824 collection which has no age statements that I could see. The balvenie is a triple cask, first fill bourbon, refill bourbon and then sherry. I guess it is available in 16 and 25 editions as well but this store only had the 12. The Glenlivet was the 12 and 18 and appeared to be the standard bottles. Glenfiddich had the fancy 18, then the Distillers Edition 15yr , interesting looking packaging. A non chill filtered for those who care. Also had the Reserve Cask and the Select Cask bottle. 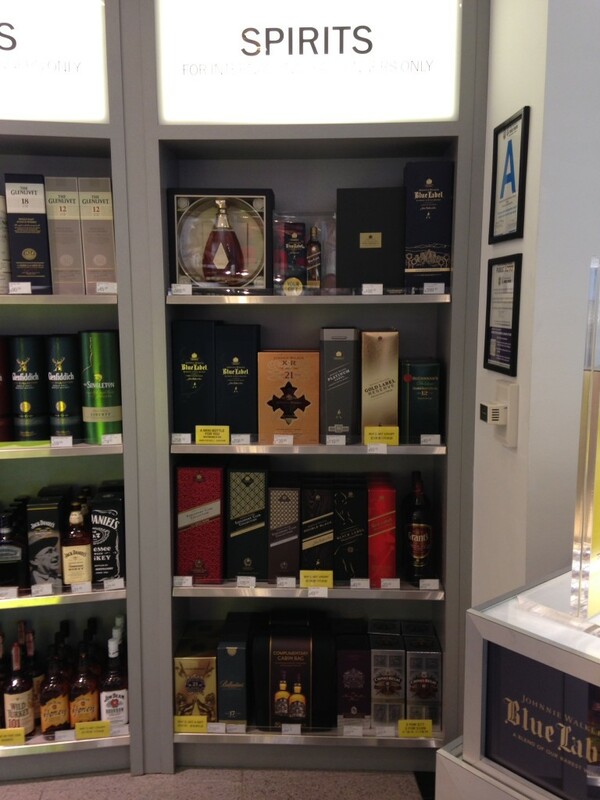 Johnnie Walker had a huge selection. Red, Black, Double Black, Explorers club, XR 21, Blue, Gold, Odyssey, King George V and a very special packing just for Los Angeles with the blue. 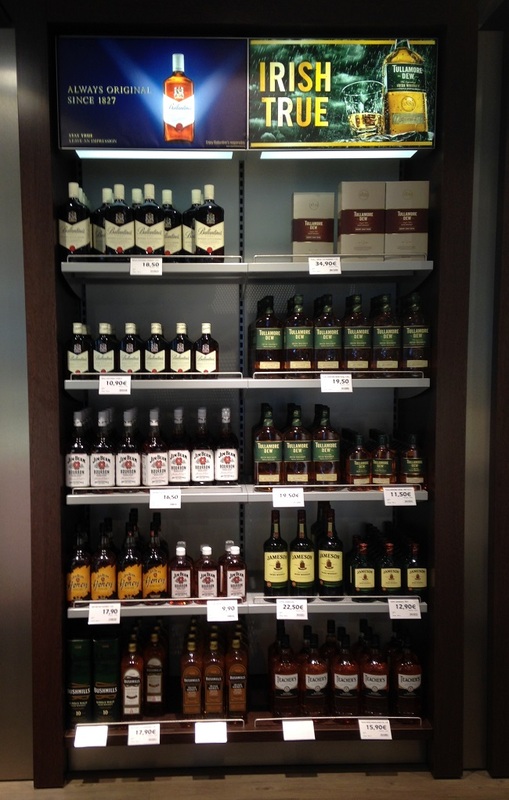 Not much on the whiskey, bourbon, vodka, etc… it is a rather small shop. One thing I did notice was the absence of Islays. It could just be that they’re out of the photo, sequestered somewhere else that Gary missed, but given the detail he’s done before I suspect that’s not the case. My guess is that Terminal 7’s DFS is one of the satellite stores, the main ones are probably in the named Tom Bradley International Terminal (TBIT), and so they only stock the highest sales items here. Whereas many airports have a dedicated international terminal, LAX’s terminals are set up, due to volume, by airline so you have a lot of satellite stores that carry the best selling subset of brands. It’s why Gary saw a limited selection across a variety of brands. 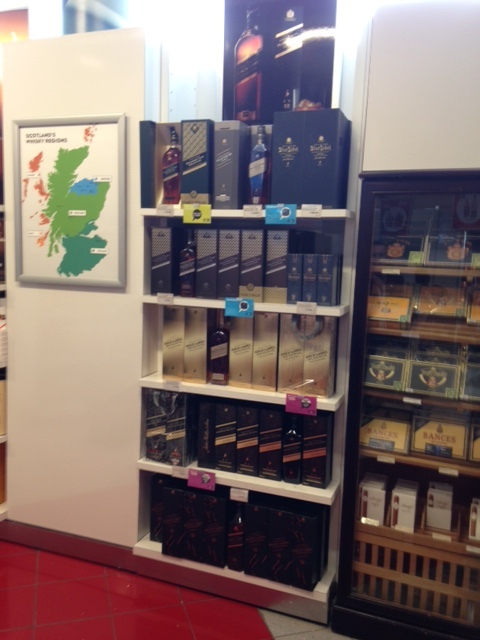 If you’re making a trip through any international airports and have a few moments, I’d love it if you could take some photos of the Scotch areas of the duty free. 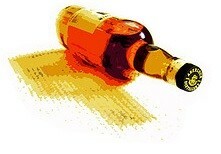 Email me and we can feature it in a future post on Scotch Addict! What’s in the Toronto Pearson International Airport Authority Duty Free? 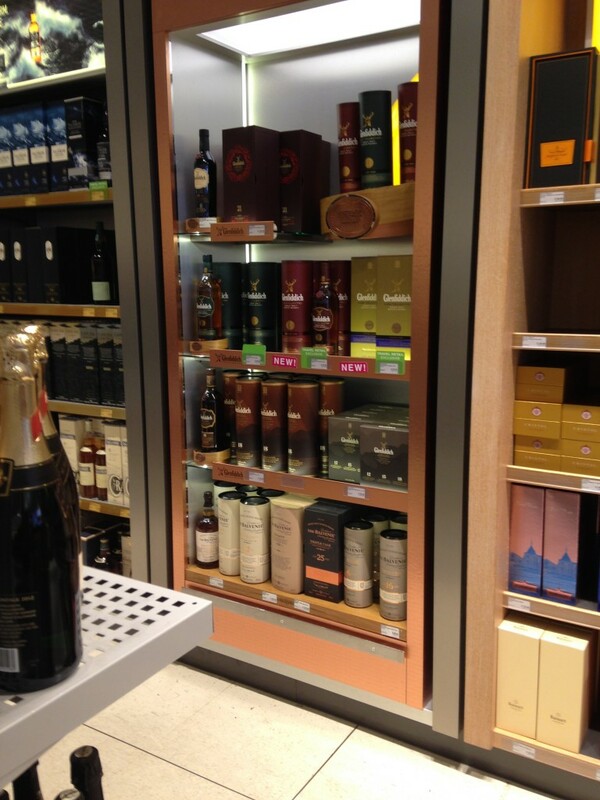 I’m going to start a new series here at Scotch Addict, photos of duty free shops in international airports. I’m afraid I don’t that much travel anymore but many of you do — so if you go on travel and find yourself in a duty free store, mind taking a few shots and sending them my way? I’ll compile a gallery and then folks can do a little planning ahead of time. Today’s photos come from Toronto Pearson International Airport and are courtesy of Gary (Thanks Gary!). 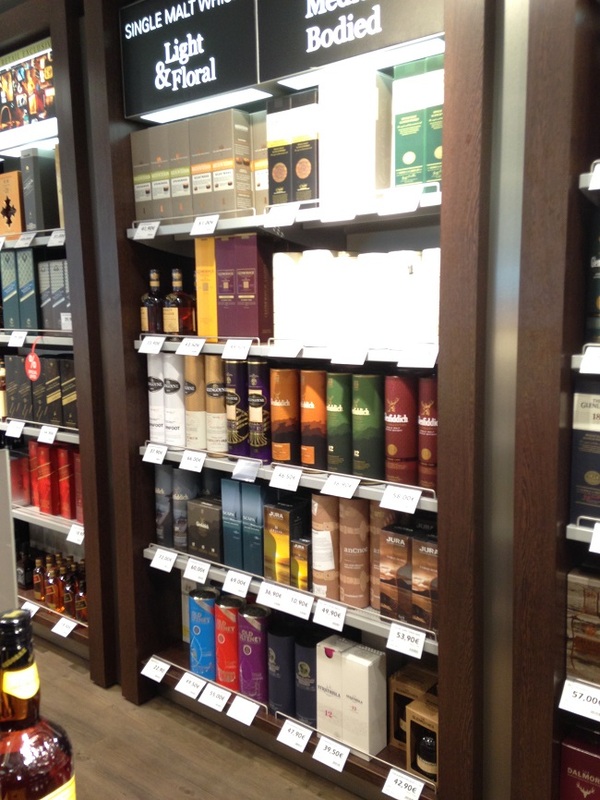 Toronto seems to have a very extensive collection of single malts and blends, both retail and travel, and chances are you can find nearly anything you could want there. 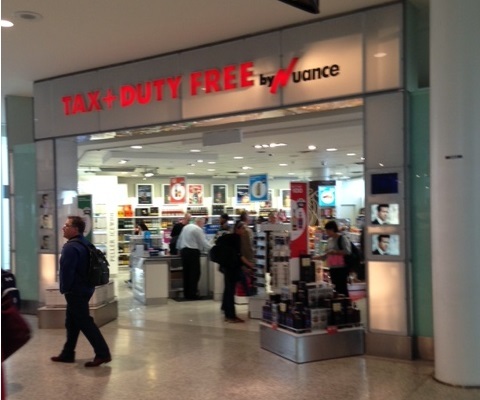 Gary: This is the duty free in Terminal 1 by gate 60. As soon as you clear customs and the final airline check and head downstairs. They had a little bit of everything, and did have some labeling describing the scotch. Such as Highland, Lowland, also labeled as to the amount of peat/smoke. You can see a lot in this shot. 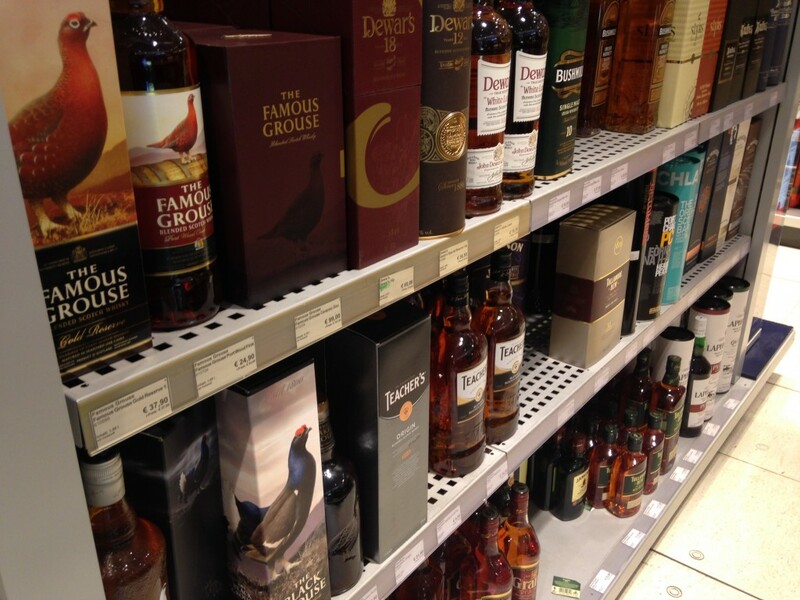 You have the same row of Glenfiddich (along with some travel retail specials at the top row, Age of Discovery), below the Grant’s there is a lineup of Balvenie and Glenmorangie right under that in that first section. 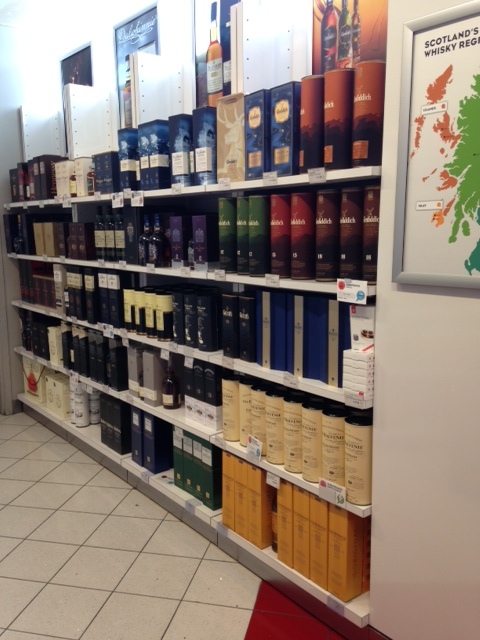 In the middle section, the bottom row is the travel retail boxes of Macallan. Above it is Glenkinchie and then some Aberfeldy. Last shelf is Cognac — nice little selection. 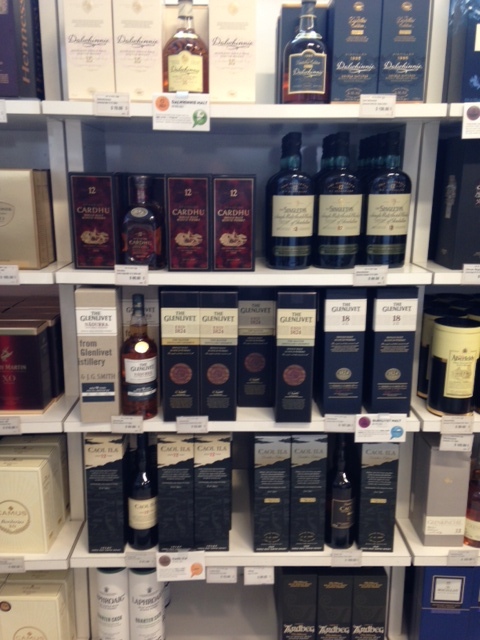 Closeup of the shelf with Dalwhinnie at the top, followed by Cardhu, Glenlivet, and the Islays. 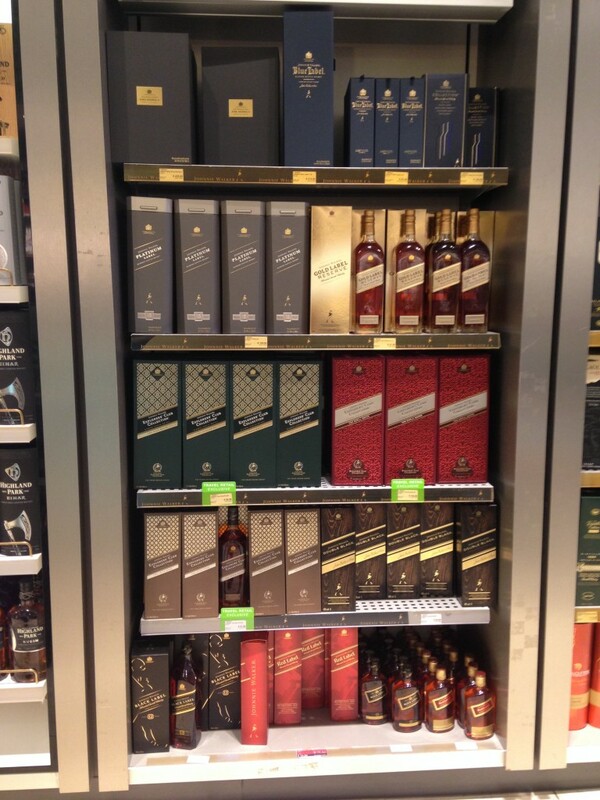 An entire rack devoted to Johnnie Walker… Blue gets the position on high.